all of your film and video transfer needs. 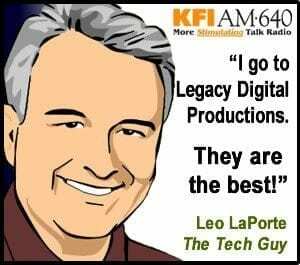 Legacy Digital Production's was founded by Scott Foster in 2001 on basis of providing the highest quality product that is still cost effective for its clients. Unlike other large volume companies who repackage your memories into various boxes mixing them along with other jobs and ship them out for processing, Legacy takes pride in the fact that all work is done in-house and nothing is ever sub-contracted to outside help. Your precious memories never leave our hands until they are returned to you. 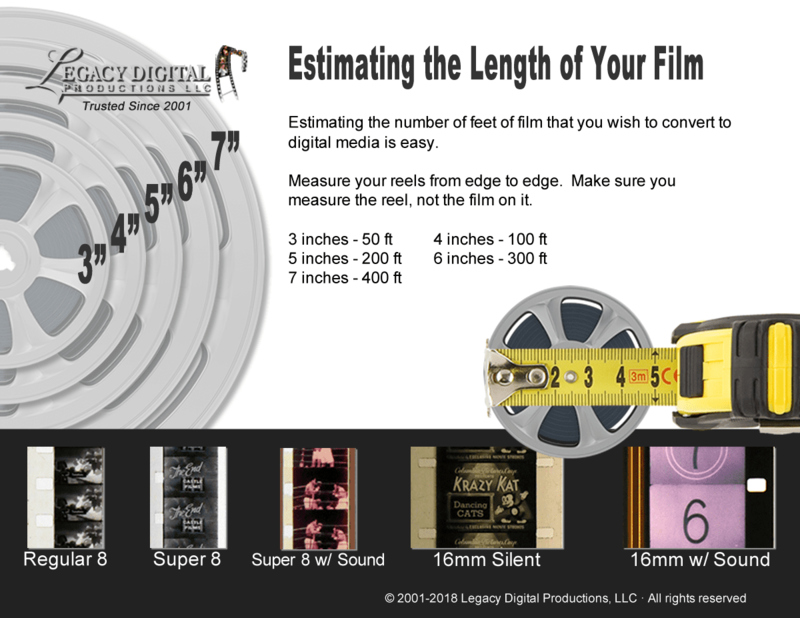 In fact, after transferring over 90,000 reels of film to DVD and handling several hundred thousand individual items, Legacy Digital Productions has never lost an item, not once. Scott is very much personally involved in the business and if you live in the Southern California area, chances are that you'll meet with him when he personally comes out to your home or office to pick up your films, videos, slides or photos to take them back to the office. Once there, his team will go to work and once the job is complete, your originals will be safely returned to you along with your new DVD's. If you are seriously concerned with the safety of your memories, and the quality of the work to be done, chose Legacy Digital Productions. Walk ins are always welcome but please call ahead and let us know when you would like to come by. We are open Monday through Friday 8:00 am to 4:00 pm and after hours by appointment. Call us now at (888) 405-2685.